PLEASE NOTE: OUR GREENWICH MUSIC TIME COMPETITION IS NOW CLOSED. Ask someone to name a tourist destination in London and the chances are they won’t say the Old Royal Naval College. But the historic location is actually the 11st most popular tourist attraction in the UK. It’s also playing host to this year’s Greenwich Music Time, a concert series being held from 20th – 23rd August (which we’re delighted to be sponsoring and giving away VIP passes to – you can find more details here). The Old Royal Naval College sits at the centre of the Maritime Greenwich World Heritage Site and is generally considered to be one of the finest pieces of architecture in the United Kingdom. It was designed by Sir Christopher Wren, the architect responsible for St. Paul’s Cathedral. Despite its name, the building wasn’t originally a ‘naval college’. It was actually a hospital for wounded sailors, and served that purpose for over 150 years. In 1873, the grounds were converted into a training centre for the Royal Navy and remained so for over 100 years before the navy left in 1998. Ownership then passed over to the Greenwich Foundation for the Old Royal Naval College, an organisation dedicated to the preservation of the site. 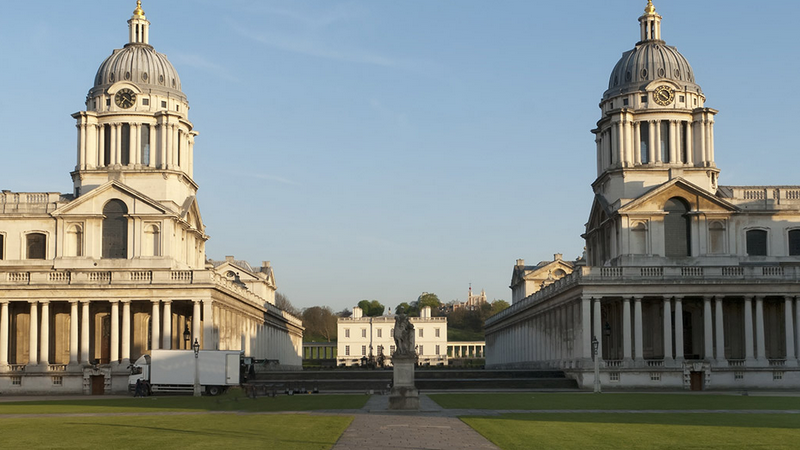 Since then, the Old Royal Naval College has served a number of uses, with the University of Greenwich and the Trinity College of Music both based on the site. In 2002, the site was finally opened to the general public, with people able to visit the Painted Hall, Chapel and grounds for the first time. The college has also become a recognisable fixture in movies, with many filmmakers using the unique features of the college as a setting. Films shot at the Old Royal Naval College include Four Weddings and a Funeral, Lara Croft: Tomb Raider, Sherlock Holmes: A Game of Shadows, Pirates of the Caribbean: On Stranger Tides, The King’s Speech and The Dark Knight Rises (among many others). Later, the College started playing host to a wide range of musical acts – although Greenwich Music Time promises to be the biggest and best yet. The concert series – which includes shows by Goldfrapp (their only London date this year), Russell Watson, Jools Holland and The Australian Pink Floyd Show – is expected to welcome over 20,000 to the grounds of the Old Royal Naval College, combining great music with an unbelievably beautiful setting. For full details on Greenwich Music Time, the Old Royal Naval College and the fantastic work the Greenwich Foundation do, visit the Greenwich Music Time website.